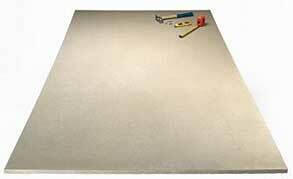 Decorative / tackable panels attractive, lightweight, structural, fire-rated and sound-deadening. Hobby There are dozens of creative ways to use Homasote for hobbies. Model trains, sign boards, lawn ornaments, quilt boards, etc.